Yes, I confess Wednesday Wonderings has been on a long hiatus, but we are back this week and I want to hear from you! Wednesday Wonderings is open to any person who stumbles into this blog, any bride or groom, past present or future who has something to contribute, an opinion or experience to share which could be of help to the other couples out there planning their big days. For most women, we look at the process of wedding planning as something to be coveted and something to look forward to. Men of course, for the most part, don't seem to know that such a thing as "wedding planning" exists until their fiances start stacking the bridal magazines on the coffee table and accidentally crazy glue their fingers together when they pick up her latest DIY project. Either way, when it comes down to it, most couples tend to find the process at one point or another, extremely frustrating. What has been or what was the most stressful and frustrating part of planning for you? What would have made it better? What advice to you have for other brides to make their planning processes more fun and less of a headache? 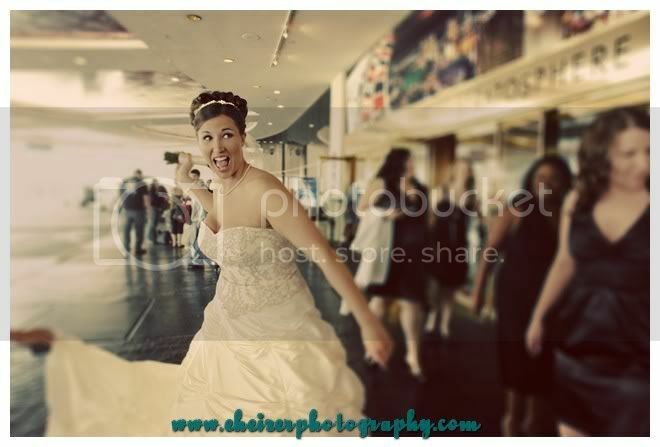 Sarah attacking her bridesmaids with her bouquet outside the Stratosphere at her Vegas wedding last year. If you have a request for a Wednesday Wondering post, please leave a comment and let me know! I had 2 big frustrations: Our Parents, and society. 2. Society. At age 17, I was blissfully ignorant of how materialistic and ridiculous the world really was. It wasn't until I started pouring over bridal magazines and realizing that a "good" wedding by society's standards cost over $20,000, I was appalled. 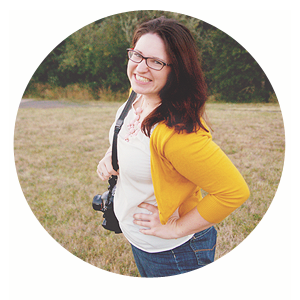 I had a $4,000 budget to work with, plus about $2,000 from my husband(then fiance) and his family. We planned a beautiful wedding under budget and it was not tacky at all. But it hurt me that people would say "really? You are just going to Jekyll Island for your honeymoon? Why not Aruba!?" Uhhh, because we like to pay our bills on time? Getting the roof put on our house is more of a priority? I hated the pressure of everyone else telling me "you only get married once!" and "It's your day, it should be all that you ever dreamed of!" My wedding was fun and it was tasteful. I have no regrets except my regrets over letting people like that make me feel inferior.